All people sooner or later meet with such feelings as anger. Its true manifestations can be destructive. Those who are constantly on the verge of collapse must learn to manage anger. 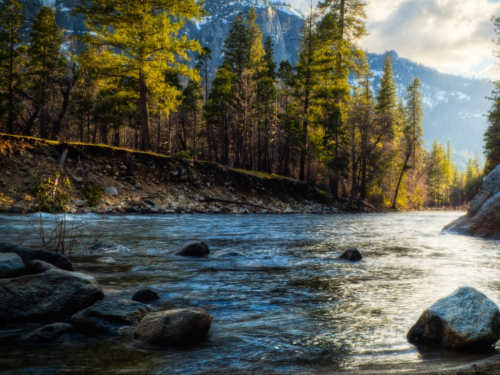 A great way to manage anger is the Mountain River meditation. In general, meditation practices are very popular in the modern world and continue to gain this popularity. There are even walking meditations for those who like to think about the highest and find a way to solve problems. In general, any meditation practice has a strict purpose, but they will never act to the detriment. When a person loses his temper, it means that energy, which he does not know how to redirect, beats out of him. A priori, it is believed that people who are often nervous and frustrated with others are strong personalities who simply do not know how to direct their vital forces correctly. If you have the opportunity, then the best way to get rid of the negative will be exercise. Going to the gym will help release the accumulated steam that has created pressure inside you and is ready to break free. You can also run or buy a punching bag to pummel it. It helps well, by the way. One way or another, these are all alternatives. It is best to learn to quickly suppress the anger within you. This should be done so that peace and tranquility come as quickly as possible. There are no simulators at work, there are also no boxing punching bags, and it is impossible to ask for leave to go to the gym. Here comes the meditation «Mountain River». Preparation for meditation is standard. If you have the time and opportunity, you will need to achieve complete silence. If this is not possible, then you will need to download or find music of nature on the Internet — rain, wind, ocean, birds singing. The best option would be a river or an ocean, because the sounds of water always relax. Suppose you got your boss or you had a row with a colleague. You are on edge, ready to explode or beat the abuser. Just try not to think about it. Insert headphones, turn on the music, relax and free your mind. Think about something nice and calm — about how you kiss your loved one or lie on the beach. If your anger is a constant problem, then meditate as often as possible, then the negative will go away, leaving only positive energy. To relax and enter into an acceptable state, you can try to count to one hundred with eyes closed. So, you are relatively calm and ready to plunge into the world of peace. Slowly count to 10 and imagine yourself making your way through the cool forest in the mountains. At the beginning of your countdown it is dark around you, but as you approach ten, you exit to a mountain stream. The day sun, behind small clouds, blinds you. At first it was barely noticeable, then when you saw the river, it became blinding. The temperature outside is low, but you are warm, cozy and comfortable. Only your face feels a slight chill of pleasant and clean mountain air. You need to see where the river begins. It comes from somewhere in the mountains, but it is not visible, because there is only a dark forest around with bright sun. There is not even a singing of birds — only the murmur of clear and clear icy water. The river is small, so the sound of water is not deafeningly loud, but quiet and pleasant. Water flows over the stones, bending around them. You are standing right in this water and you can see every pebble at the bottom. You are calm, because there is no one around. There is nothing that could stop you from being calm. You look and see only cold calm around. The sun is slowly coming out of the clouds and blinding you with its rays. You slowly put your hands into the icy water of the mountain river in which you stand. The cold hits in the palm of your hand, but you endure. Then you take water and wash it. It blows you cold, so you forget about everything. You understand that the Sun is getting brighter and brighter. In the end, you will see only a white veil before your eyes. There will be only the sound of water. Listen to it as long as possible. Calm down. You are as cold as this river, you are quieter than the sound of water. Everything in life is good because you are calm. This ends the meditation. Do not forget to carry it out and for prevention, and not just when you are furious. We wish you good luck and more patience. Always remember that the nerves do not help the cause, because the excited state confuses our thoughts and disrupts logical thinking. The calmer you are, the more likely you are to succeed in any business.